I get it...and I'm crying. It's been 3 months since I lost Cosmo...feels like it was just yesterday. Wish I didn't click. It's not getting any easier. Sorry for hitting a fresh nerve. Most all of us have been there. This just hit me when I saw it. Three months from being two years since we lost Missy. Doggie is dying, so when the grim reapers shows up the dog asks if he was a good boy. 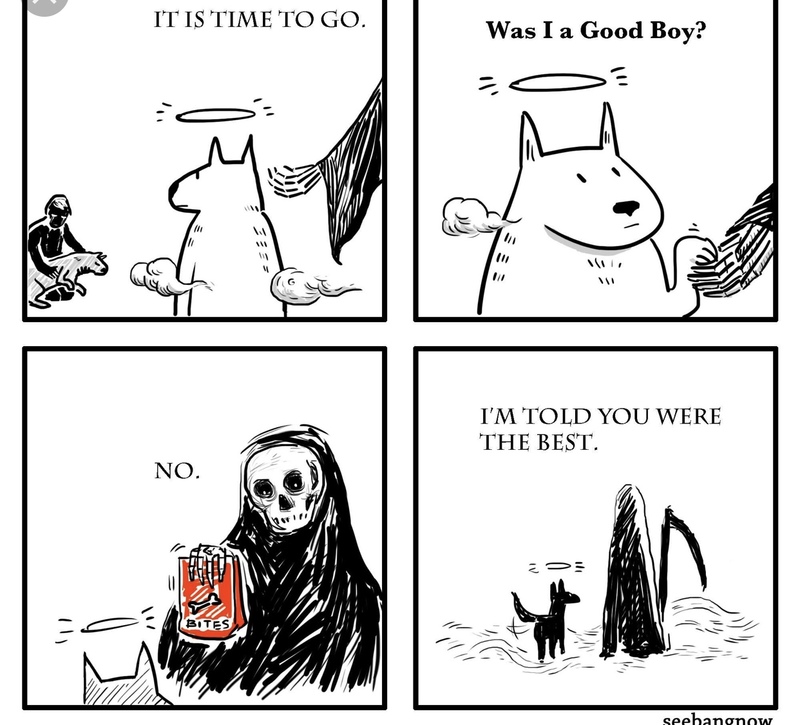 The reaper, with a bag of treats says "No, you were the best"
Basically he wasn't just a good boy, he was the best boy ever.